I was born in a small city in Northern China. In 2010, I followed my relatives to Brazil. In Brazil, I got acquainted with a Christian friend. He brought me to church to listen to sermons. But though I went three times, I never absorbed it. Afterward, because my job was keeping me busy, I didn’t go to church again until one day in June, 2015, when my friend brought me to church once more. This time, through what brothers and sisters shared, I had some understanding that the Lord Jesus is the Redeemer. Especially, when I first read Genesis, I felt that the Creator is truly wondrous. In school, the textbooks had taught me that man evolved from apes and monkeys and all the things in the world were formed naturally. That day, when I read Genesis, I understood that in fact, man was created by God and that God had created all things. Suddenly, I felt that, for more than twenty years, I had been deceived. That day, I suddenly and completely awakened. From that point on, I believed in the Lord Jesus. One day, I sent a link for that video through Facebook to Sister Yang, with whom I frequently communicated with about the Bible. After she saw it, she also felt that the video was very good and she said that she also wanted to better understand The Church of Almighty God. She felt that this church was indeed very special and that it was filled with the Holy Spirit’s work. As a result, I shared this video on my Facebook page. I did not expect that, after seeing the video, one of my good friends told me that The Church of Almighty God was not good. He also sent me a lot of negative propaganda about the church. I was surprised when I saw these words that blasphemed Almighty God and condemned The Church of Almighty God. I thought: This church is pretty decent. How come there are these criticisms? When I opened that video again, I suddenly thought back to what my pastor had once spoken about. In the last days, false Christs will appear. If I deviate from the Lord Jesus’ path, wouldn’t it be over? This problem cannot be ignored. So I better stop watching it now. Immediately, I told Sister Yang about the situation. Sister Yang said, “We cannot simply rely on one side of the story to determine whether it is real or false. This is not in accordance with the Lord’s teachings. As believers in the Lord, we are all looking forward to His return. Right now, there are some people who are saying that the Lord has already returned. We must investigate this. We must not just follow the herd and blindly judge and condemn it. Let’s find some people from The Church of Almighty God and investigate it. If they’re the real deal, it’d be hard for them to fake it. If they’re just faking, it’d be hard for them to pretend to be real.” I thought: What Sister Yang says is correct. This is indeed the first time that I have heard the good news that the Lord has returned. I also do not know whether the words on the Internet that condemn The Church of Almighty God are true or false. I can see that the videos and movies shot by The Church of Almighty God are pretty good. I should go and understand them. This is a rational way to treat the return of the Lord. In this way, I agreed to investigate Almighty God’s work of the last days together with Sister Yang. I understood a lot from Brother Zhang’s communication. He was very clear in his fellowship. False Christs can only repeat and imitate some work that God has done in the past. However, they cannot bring man to new path nor can they do any new work. At this point, I understood the true meaning behind the Lord Jesus’ words: “For there shall arise false Christs, and false prophets, and shall show great signs and wonders; so that, if it were possible, they shall deceive the very elect.” Sister Yang also said that she gained a lot from this exchange. As a result, we made an appointment with Brother Zhang for the next evening so we could continue listening to his fellowship. I felt that Brother Zhang from The Church of Almighty God spoke very well and that what he said was very beneficial to me. However, when I thought of the rumors on the internet, I was still a little apprehensive. When I went back to my church, I asked one of the older brothers whether he knew of The Church of Almighty God. He told me that the pastor had said that this church should not be contacted. He also related some words of judgment, attack, and condemnation from pastors directed against Almighty God. After listening to this, I felt a little shaken. I immediately told Sister Yang about this negative propaganda, so that she could also stop contacting The Church of Almighty God. However, Sister Yang seemed determined to investigate Almighty God’s work of the last days. She said to me, “Wherever the footprints of the lamb lead me, I will follow. 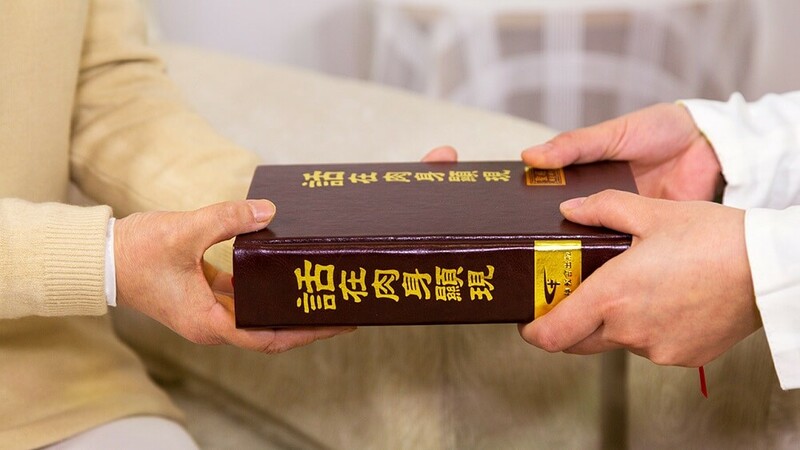 Through this period of reading the words of Almighty God online and watching all sorts of videos and gospel movies about The Church of Almighty God, I have understood a lot of truth. Many of the difficulties and perplexities that I had encountered in the past have been resolved. I feel that Almighty God’s words are the truth. Regardless of how others condemn The Church of Almighty God, I will investigate this clearly….” I was unable to persuade Sister Yang and as a result, I blacklisted her name and Brother Zhang’s name on my Facebook account and I no longer dared to contact them again. However, after two days, I had no work to do. Aside from cooking at home each day, I didn’t have anything else to do. Since I had nothing to do, I opened up YouTube and watched some movies. Mysteriously, each time I opened up YouTube, movies, MVs and choir videos associated with The Church of Almighty God would appear. I started to think: The videos and movies of The Church of Almighty God are recorded so quickly. It is quite astonishing! Things that come from God must be prosperous. Could it be that The Church of Almighty God truly comes from God?! The things that I heard from Brother Zhang last time were in accordance with the truth. Maybe I should try once more to understand The Church of Almighty God. I cannot simply refuse to investigate Almighty God’s work of the last days just because of what other people say. However, once I recalled the words of condemnation regarding Almighty God from the internet as well as my pastor’s warning to not contact The Church of Almighty God, I thought: Perhaps I should not go any further. Consequently, I decided to look for other videos to watch on YouTube. However, everywhere I looked, there were videos from The Church of Almighty God. I started feeling helpless. In the end, my curiosity took over and I thought: Regardless of whether The Church of Almighty God is good or not, I am only going to watch their videos. If they are really not good, then it’ll be a lesson on how to distinguish things. As a result, I opened the video titled, “The Salvation of the Soul Kingdom Praise Chinese Choir of The Church of Almighty God 9th Performance.” This video attracted my interest because its story was a genuine portrayal of contemporary society and I really identified with it. The video portrayed human life very vividly, realistically, and genuinely. I cried and laughed along with it and my heart was very moved, and at the same time I felt very energetic. I had a feeling where I wanted to immediately watch all the videos produced by The Church of Almighty God. From then on, I would watch the videos from The Church of Almighty God on a daily basis. 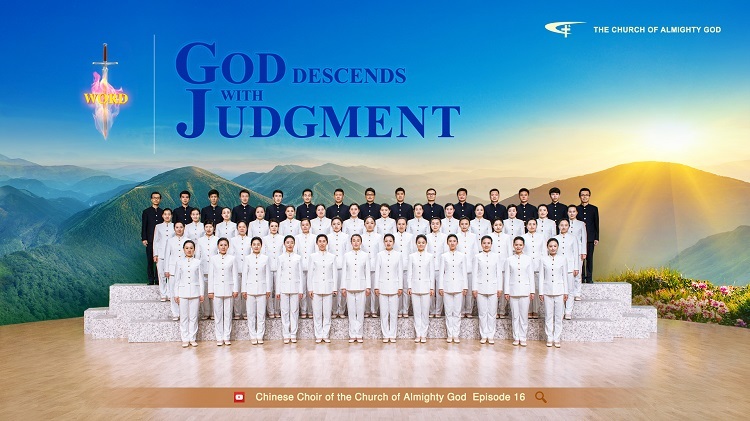 In one week, I watched all 17 episodes of the Chinese Choir. The more I watched, the more I felt it was great. There seemed to be a power in my heart that is urging me forward to watch and investigate, without delay. I thought: I watched so many videos of The Church of Almighty God. Each video has been so beneficial to me. Additionally, there is not a word of negativity within any of the videos. It is all positive, some expose the darkness of the world, some bear witness to God, and some guide man to return before God. They do not contain any fleshly or worldly matters. The Church of Almighty God is filled with the Holy Spirit’s work. It is not at all like how the rumors portrayed it to be. Almighty God’s work in the last days is definitely worth my investigation! One day, while I was browsing through Facebook, I read an article about someone’s experience and testimony titled “I Have Found Salvation in the Last Days on Facebook.” After I opened it, I read that this sister had similar experiences to me. When she first started contacting The Church of Almighty God, she encountered rumors about it that her friends sent to her. She was very disturbed. However, there was a lot of content in the article after this point and I wanted to understand what the conclusion was. As a result, I continued reading impatiently. I read that this sister prayed to the Lord and asked the Lord to guide her. After she finished praying, she felt that she could not selectively listen and believe. She had to realistically investigate The Church of Almighty God in order to differentiate whether it was true or false. If she blindly listened to the rumors and refused to investigate the second coming of the Lord, it would not be very rational. She had to find out the truth about the Lord’s return. When I read this, I felt that it was correct. The return of the Lord is an important thing and one must treat it prudently. I cannot simply follow the herd and blindly reject and resist it. I continued reading the article and saw that the circumstances regarding The Church of Almighty God that this sister came to understand was completely different from what her online friends were telling her. Additionally, she personally received as visitors some sisters from The Church of Almighty God. They fellowshiped with her about Almighty God’s words and they also helped and cared for her. They did not harm her or deceive her at all. The true experiences of this sister told me that I could no longer continue to be deceived by these rumors, nor could I believe gossip and reject investigating the work of Almighty God in the last days. Otherwise, it is possible that I would lose God’s grace of the last days. I must connect with The Church of Almighty God again for further investigation! By Xinxin, Thailand I was born into an ordinary family in Burma. After finishing the fourth grade in primary school, I joined the Xuguang Christian School through the recommendation of one of my relations. In school, apart from regular courses, we also took a Bible course and attended the worship..
By Wang Ping Recollection of the Past “Wake up, brothers! Wake up, sisters! My day will not delay. Time is life. Seizing time is rescuing life! The time will not be far distant! If you fail the college entrance examination, you can retake courses again and again. But My day..
By Zheng Dao In 1989, I accepted the gospel of the Lord Jesus with my mother. After I believed in the Lord, I often attended meetings and read the Bible, and so I came to know that God created the heavens and earth and all things in them. At that..